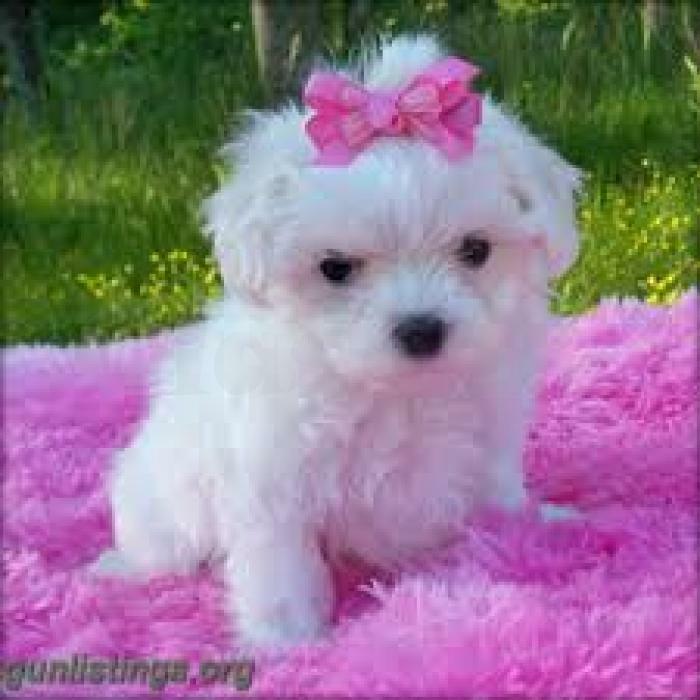 These adorable Maltese puppies have been family raised and are used to being played with everyday! They are outgoing, healthy puppies! They are AKC registered, up to date with their shots and dewormer, and have been vet checked as well. They will be ready to leave with their lucky new families.